I am a fan of unreliable narrators. Not simply because I love having a story with duplicity in it but also because it creates intrigue and suspense in a story. Unreliable narration tends to happen most often with first person POV, and all first person narrators are unreliable to a certain extent, but those who lie in a big way somehow really interest me. I don't think any one of us likes to be lied to in real life and yet duplicity is something we can all connect with. We've all been lied to at some point on this Earth. It's unavoidable. So how can we write the unreliable accounts? 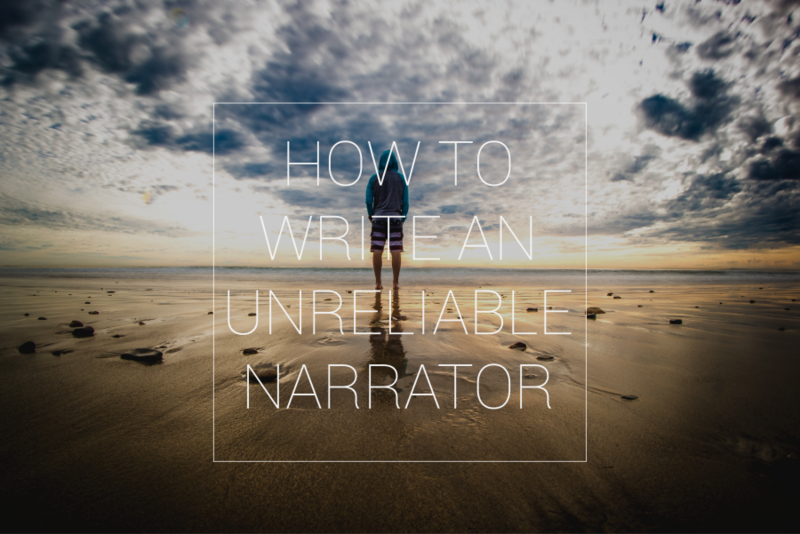 The very first thing to do is really consider whether you need an unreliable narrator. I think the art of misdirection and duplicity works best when there is a strong reason for it. Maybe your character has suffered and that suffering has caused them to lie to themselves just to keep going. Maybe lying to themselves is how they get over their biggest flaws, their own weaknesses. I have the recently released Logan on the brain because I went to see it recently but bare with me: Logan is a character where lying is justified, and to an extent he lies to himself every day. Some how his unwillingness to see things as they are connects us to him closely, as if there were a string tied from the lowest rung on our ribcage to his own and he was yanking on it as he spoke. Lies can be powerful, but I think they're only as powerful as their reasons. The better the reason the more powerful the reveal. All first person narrators are unreliable to a point and that's what draws me most to the POV, so if you don't have a good reason remember that we all lie to ourselves a little bit sometimes just to get through. Some narrators don't know they're lying. Oh, the delicious bittersweet taste of when a character discovers they have been lying to themselves! The heartbreak! The confusion! It's hard to give people book recommendations when it comes to this because often the very point of these books is the reveal. To know what is coming sometimes spoils the power of the book. Remember not to cheat the reader. It's important to intersperse at least a few clues along the way that the narrator isn't reliable. These can come from conversations, or descriptions that don't quite add up. They allow the reader to feel like, yeah okay you lied to me but if I'd just have paid attention I could have seen that myself. A book is a contract between a reader and a writer, it's an act of faith on both sides, and that means you need to give readers a fair chance to solve the puzzles you create. Otherwise why would they ever read anything from you again?